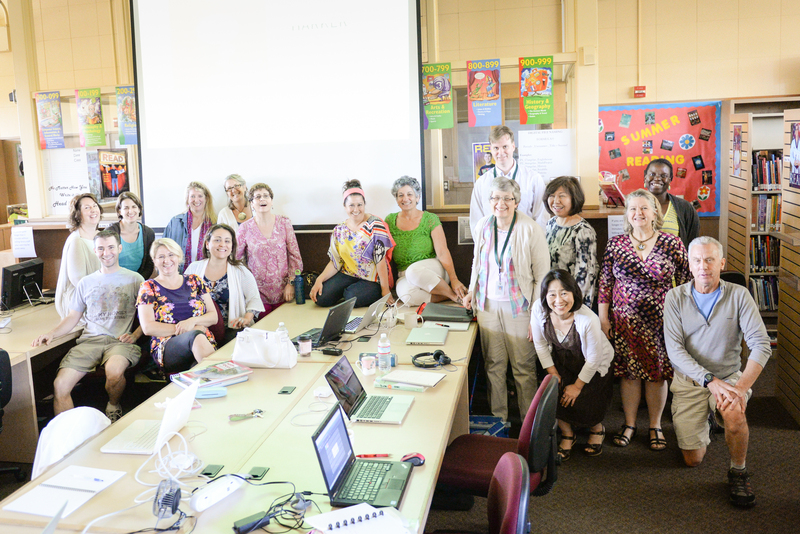 Harker once again invited Bay Area educators to the upper school campus for the Harker Teacher Institute on June 7. Celebrating its 10th year, the event featured presentations by 17 Harker faculty members, who gave workshops on various ways to improve the learning experience in classrooms. It was also sponsored by the Silicon Valley affiliate of Computer Using Educators, an organization dedicated to the innovative use of technology in education. The workshops explored many different tools and techniques. For example, lower school math teacher Eileen Schick’s presentation on Singapore model drawing demonstrated a visual method of solving word problems. Meanwhile, lower school English teacher Ann Smitherman demonstrated how using questions in feedback helps students better internalize the feedback they receive, and showed her use of comments in Google Docs to achieve this goal. For his workshop on project-based learning, Juston Glass, business and entrepreneurship teacher, had attendees break off into groups and build structures using Tinkertoys to show how classroom projects can engage students and help them become more invested in the learning process. Diane Main, the upper school’s learning, innovation and design director, showed how MinecraftEdu – an educational version of the popular computer game Minecraft – can be used to create classroom environments in which students learn how to work together to solve problems.